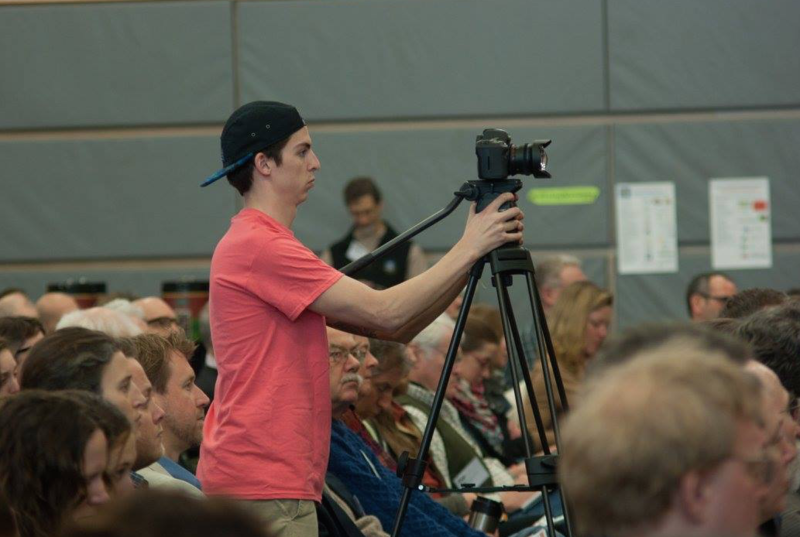 A select team of videographers and producers from the Emergent Media Center had the opportunity to go to the Vermont Climate Economy Summit at Vermont Technical College last week. The objective of the day was film and edit a comprehensive video of the day’s events that would be shown to all the attendees at the end. 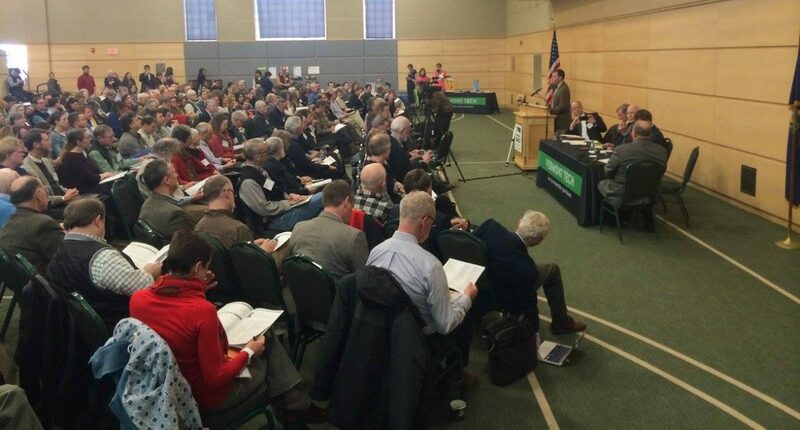 The Summit involved several speakers like Congressmen Peter Welch and Speaker of the House Shap Smith who come from across different business sectors and came together to discuss the future of Vermont’s climate economy and steps that can be made to address climate issues as we move forward. Five Champlain students, myself included, spent the day recording these various speakers and interviewing people about pertinent issues regarding climate change. The day started at seven in the morning and it was not until around four, with one of us holed up in the editing room for most of the day, that we finally had a semi-finished product that we could present to the group. We combined the different videos taken by each member of our team and managed to pull off a presentation that captured the essence of the day’s events in a way that really inspired everyone who was watching. The day turned out even better than expected, we were approached by many people afterwards who told us that we did a great job, and we managed to interview Vermont Senator Patrick Leahy at one point during the day. The entire process was exhausting, because it required all of us to be on our A-game all the time so we could capture the best footage and moments of the Summit. Two of us created a professional looking interview room out of a basic classroom to interview speakers, several of us captured key soundbites to be used in the video, all of us went around the school to record highlights of each presentation, and one of us spent most of the day bringing it all together into a functional video. We all worked really hard to get it done and we managed to finish with time to spare. Now that the initial video is completed, Jeremy Partyka, the main individual responsible for editing the video, will now focus on crafting a more polished and completed product that we will send to the members of the Summit. Check out the finished video below!